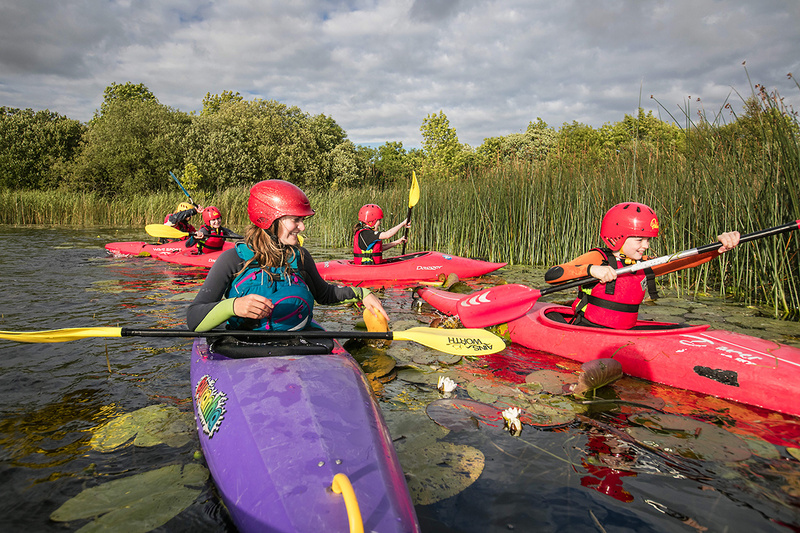 Lough Derg Water Sports offers Canoe and Kayak lessons taught by Canoe Ireland accredited instructors. Based at Kilgarvan Quay on the east shore of Lough Derg, we also run from a number of points around the lake including Terryglass, Portumna – the lake is our oyster! We deliver safe fun learning suitable to all levels, all ages, all sizes. You will experience the adventure and enjoy the serenity of Lough Derg, whilst getting hooked on paddling! Our Kayaks are straight running and steady boats, perfectly safe for beginners. During the summer we host tours of the lake, paddle picnics and bbq’s. We can cater for events, groups and individuals. If you want to enjoy all the Lough Derg Blueway has to offer, give Becky & Rueben a call to help you explore on the water! Family and group booking rates apply.